Q: Ornamental grasses have become popular in residential as well as commercial landscapes around Mobile and in Baldwin County. They have a fresh, uncluttered look that I find appealing. Can you tell me about their variety, availability and hardiness in Climate Zones 8 and 9? A: A great benefit of autumn in South Alabama is the myriad ornamental grasses that are at their peak. These grasses, which range two to 15 feet in height, require little maintenance, are exceptionally hardy and have an endless variety of possible uses. They grow in beds or in pots, and many retain their shape and foliage structure through the winter. Most ornamental grasses require minimal pruning, tolerate heat and drought, and are highly resistant to insect and disease problems. Although grasses have been cultivated for food products since the beginning of civilization, gardeners have only recently begun to fully appreciate the beauty and hardiness of ornamentals and to explore their uses in the landscape. (Photos | Wilson Bros. Gardening) Muhly grass, with pink flowers showing in fall, is extremely hardy but moisture sensitive. 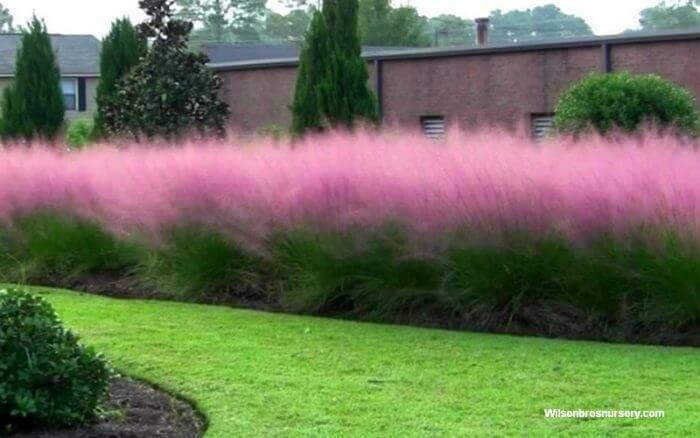 • Muhly grass flows in a gentle breeze like a fluffy pink cloud. This easy-to-grow plant is also extremely hardy. Plant in an area with good drainage, as it is extra sensitive to “wet feet.” Growing in clumps that reach three to four feet tall, this native of Florida and the eastern United States is nothing less than spectacular in the fall. • Fountain grass has gracefully arching lines with colorful fruit heads. It grows up to six feet tall and has foliage about one-eighth of an inch wide. • Zebra grass is one of the tallest grasses. It grows up to 10 feet tall and is great for privacy. Leaves of this plant have yellow bands. • Gold band pampas grass has plumes that grow straight up and reach four to six feet above foliage. It tolerates heat and drought, making it good for container gardening as well as planting. • As with many cultivars that have specific growth habits and landscape characteristics, maiden grass is a popular ornamental that is easy to start and grows fast — as much as six feet tall and four feet wide. Its broadly arching stems have amazing plumes in late summer and foliage that appears purple and bronze in autumn. Given its potential to spread, plant in an area where you don’t mind if it spreads, or choose a sterile cultivar. • Japanese blood grass may be just right if you’re looking for a shorter grass. It grows 12-19 inches tall, with sword-shaped shoots that start green in spring, turn to red in summer and then to crimson in fall. This grass fits easily into a variety of landscape designs. Selecting grasses: When choosing a grass, look for one that has colorful foliage and is not too dense. Density can indicate that the plant is rootbound and may be hard to establish. Check to see that the soil is just moist, not dry or overwatered, either of which can make the plant susceptible to disease or pests. Also, ask about the ultimate height, spread and suitability to the site before purchasing the plant. Planting: Grasses are best planted in spring or fall. Water the grass well and plant in well-drained soil and in full sun. Then you can add a small amount of fertilizer, mulch it and water it regularly until it is established. Potting: Many grasses grow well in pots, including Japanese blood grass, Corex and Foxtail grass. Light-colored pots with adequate drainage work well because they evaporate excess moisture more easily than dark pots. The pot should be wide enough to allow for arching grass blades and deep enough for the plant’s root system to expand. Soil can be a mixture of compost, topsoil and grit for most grasses. The grass can be planted alone or surrounded with small, colorful plants for interest. Also, consider dividing potted plants about every two years. Light fertilizer applied annually is recommended. Now, let’s go out and enjoy the many pleasures that come with the amazing fall weather in South Alabama. 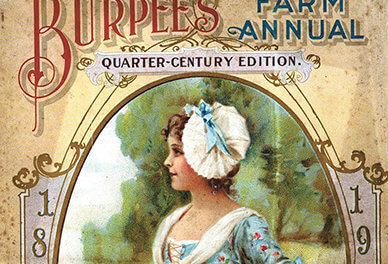 When: Thursday, Oct. 16, noon to 1 p.m. 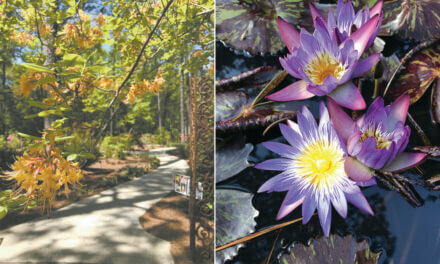 When: Oct. 20-22, Friday and Saturday 9 a.m. to 4 p.m.), Sunday 11 a.m. to 4 p.m.
Master Gardener Helpline: 1-877-252-4769, or send gardening questions to coastalalabamagardening@gmail.com. Mobile County Master Gardeners are volunteers dedicated to improving quality of life by sharing horticultural knowledge & facilitating community projects. The Alabama Master Gardener Volunteer Program is an educational outreach program provided and administered by the Alabama Cooperative Extension System. 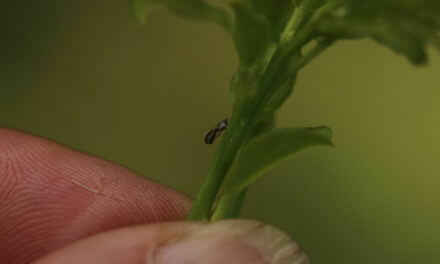 CITRUS GREENING DISEASE: DON’T GIVE UP YET!